It’s been about five and a half months since I visited CA and that’s a pretty long stretch for me. Usually I get to visit every 3-4 months and as of now I’m not sure when I’ll be visiting next. With this long of a stretch I can’t help but be a little homesick to see my family and friends back home. We do have a ton of weddings in CA this year so I know there will be no lack of family and friend time and I’m looking forward to it! But, thinking about visiting CA makes me think of some of my favorite things I miss from going home, and one thing is going out for Mexican food with my parents. This is something we did all the time while I was growing up and I would almost always order the same thing; a cup of Albondigas soup and either shredded beef tacos or enchiladas. I can taste them all as I write this.. they were so good and now it all seems so comforting to think about. 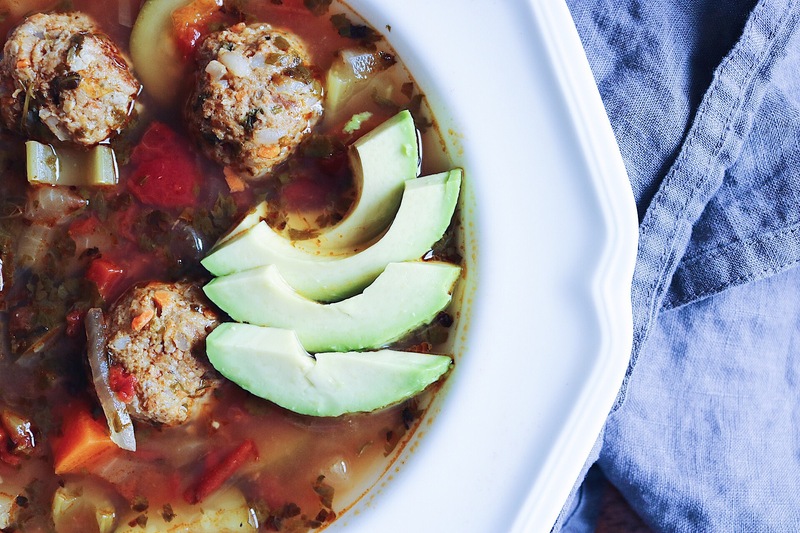 To curb my Mexican food cravings I was on the hunt for a good Albondigas soup recipe, since I haven’t found any around here. 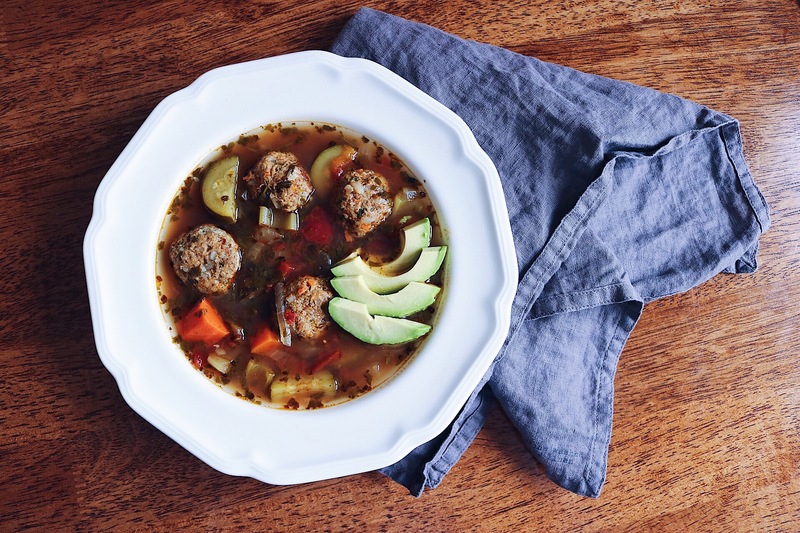 I adapted my recipe from this Albondigas Soup recipe and it is so comforting, and one of my absolute favorite soups that I have made. 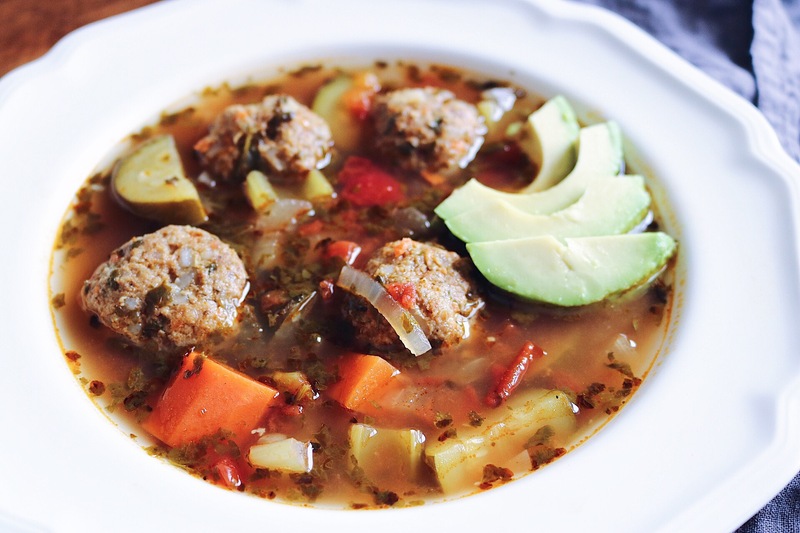 My version is full of chunky vegetables, and lighter than the original recipe using a mixture of ground turkey and Chorizo sausage in the meatballs that get baked before they get added to the soup. I can’t believe this was my first time making this since it has been one of my favorites all my life. I kept it simple and only added sliced avocados this time and anything that can be topped with avocados is a win in my book. But, you can top with so many different things like crumbled chips, hot sauce, fresh cilantro, sour cream, freshly grated cheese.. this soup is your oyster to top as you wish. 🙂 I love that about soups, there can be so many different variations depending on your toppings of choice. 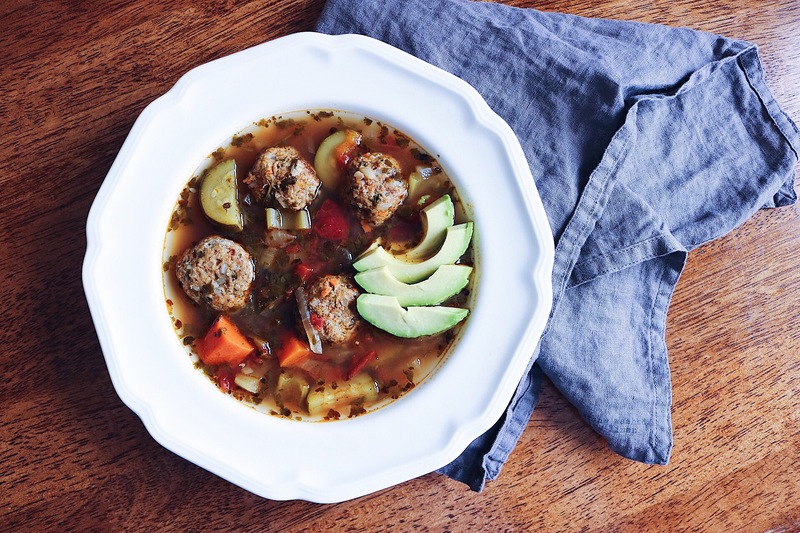 If you’re in need of a bowl of comfort to warm your soul then this Albondigas Soup recipe is for you. 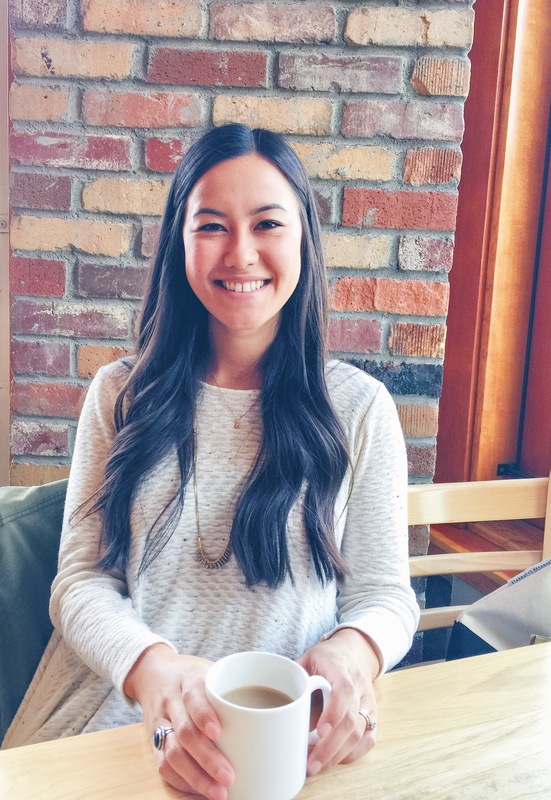 What is your favorite comfort food that makes you think of home and growing up? I’d love to hear! 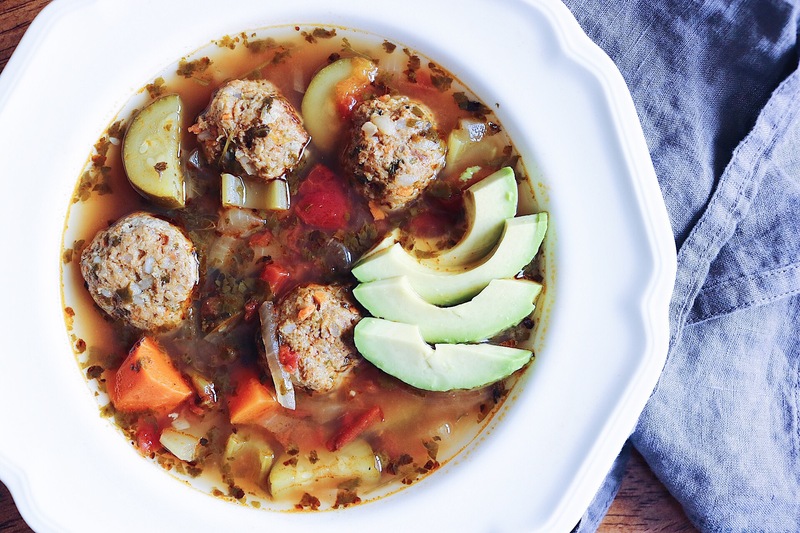 A Mexican meatball soup full of chunky vegetables to warm your soul. In a large mixing bowl, combine all of the ingredients and mix with hands until thoroughly combined. Form the meatballs and roll into balls in your hands, then place them on a nonstick baking sheet about an inch apart. The meatballs should be about 1-1 1/2 inches each, and this recipe should yield about 30-34 meatballs. Place in the oven and bake for 12 minutes. Remove once the time is up and they are just cooked through, set aside. Place a large soup pot or dutch oven on the stove over medium heat. When the pot is hot add the vegetable oil, onion, celery and carrots, stir and let cook about 5 minutes or until the onions are translucent. Next add the chicken broth, zucchini, diced tomatoes, spices and cilantro. Turn the heat to high and bring the liquid to a boil, stirring occasionally. Once it comes to a boil reduce the heat to simmer and add in the cooked meatballs, cover the pot and let simmer for 1 hour. Once the cook time is completed, add salt and pepper to taste. Serve warm on its own, topped with your favorite toppings, or with a quesadilla on the side. this sounds so cozy and comforting and perfect when you’re feeling homesick (: potstickers (the frozen chicken ones from tj’s, to be exact) and zha jiang mien made me feel 3450x better during my freshman year of college. It really is! Comfort food can perform miracles when you really need it. I’ll have to find those potstickers next time I hit up TJs!